Sometimes, courage and wit are not enough to solve all the mishaps we have been in. There will be victorious moments. But just as there are triumphant times, there will also be instances when we will lose and fall. After all the adversaries have passed, will we be brave enough to choose happiness? Despite being wiser than the younger generations, our experiences could not have honed us enough to achieve a life without worries. Nevertheless, we can be happy. So, why should we always choose happiness? 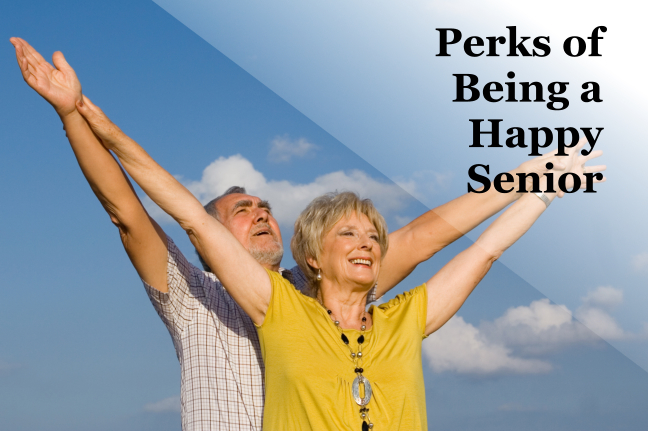 Brighton Cornerstone Healthcare gives these perks of choosing happiness. Good Health. Having an optimistic approach over every aspect in our lives could make us healthier as this practice will generate positive energy and stir up endorphin levels all throughout our body. Since depression is also prevalent among the older generations, our day will become brighter by putting a smile on our faces and being cheerful while with others. Lasting Friendship. Surely, nobody would want to hand around a person who always sulks, curses or cries. Consequently, it would be easier to make friends when you have a happy disposition, cheerful and fun to be with. Thus, if you want to meet new friends and socialize, do not let your age hinder you; your positive outlook in life will get you many friends. Feel Young. A majority of elders, if not all, would want to appear young in the eyes of others. In fact, more and more people are resorting to aesthetic surgeries to maintain their young look. However, if you are always happy, you would not need to spend hundreds or thousands of dollars for surgeries because happiness is an age-miracle pill! Fulfillment. Have you ever asked yourself if you have done enough? Reaching the age of sixty, it is possible that we could not stop thinking whether we have given a good life to our children. It is a question we could never ask them. But when we look at the brighter side of the spectrum every time we feel like we are weighing all the burdens in the world, everything would be easier to battle. Family Life. A happy and satisfied person knows how to reciprocate the love another gives them. When you start to practice and show love inside the house, everybody else will follow suit. Through hugs and kisses, a special bond between you and them will be formed. Grumpiness should be eliminated in the society. Generally, happiness oozes positive effects to the elderly as observed by people carrying our home health care in East North Street Madisonville KY. If you have let grumpiness and stress rule your life, it is already time to change perspectives. Be happy, choose happiness. This entry was posted in Health Care and tagged Hospice Care, personal care, respite care. Bookmark the permalink.